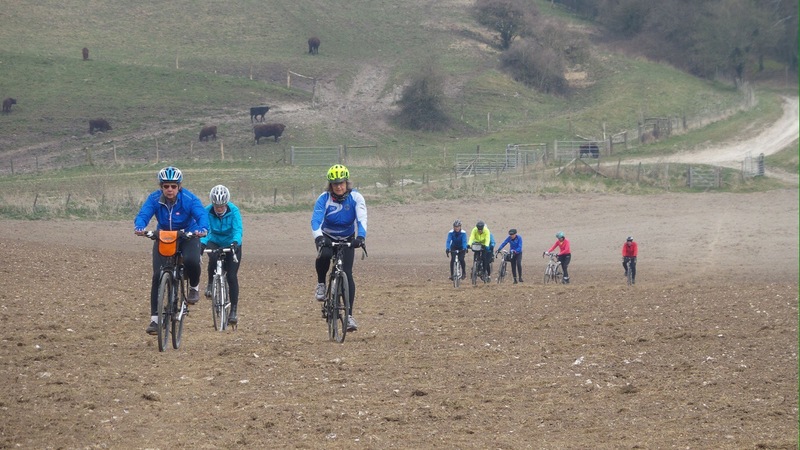 It was a happy band of six Grade 2 cyclists and five bicycles (work out the maths!) who travelled by train on Wednesday to Liphook, where we were greeted by a reception party of a further four cyclists. After the initial climb out of Liphook, we enjoyed an easy ride along quiet lanes to coffee at the Maple Ridge garden centre. 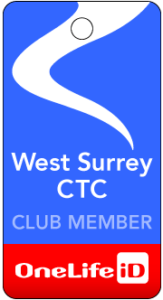 It was after this relaxing interlude that the real adventure started, for this was no ordinary West Surrey CTC route but a trademark Chris Juden route, incorporating stony and rutted bridleways and even a vast, open field! For the more intrepid among us, such routes are a real bonus but for those who prefer a nice stretch of tarmac, it was perhaps a tad too bumpy. Our efforts were amply repaid though with glorious views all around. 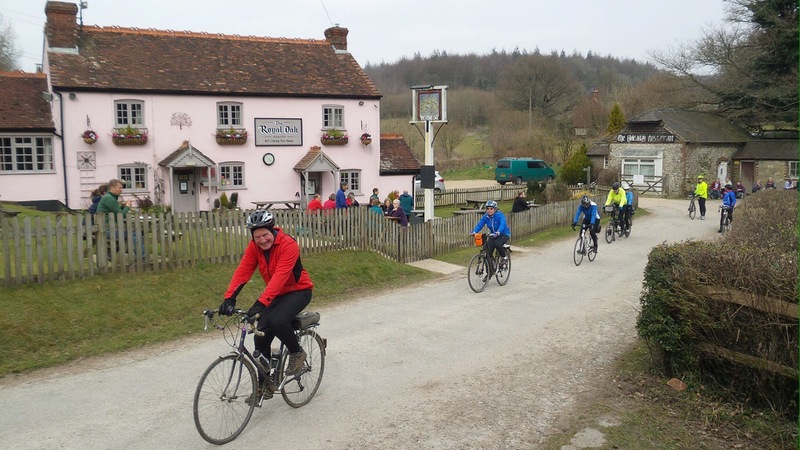 This rather unconventional route delivered us to the cosy interior of the Royal Oak pub, which nestles against the South Downs and evidently attracts lots of ramblers. 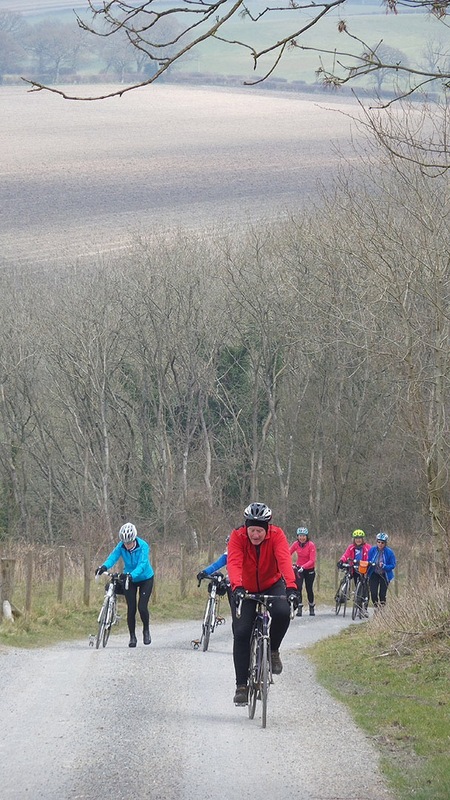 The sun made some brief appearances during the afternoon, which together with the sight of lambs in the fields and an abundance of wild flowers in the verges gave a definite feel of springtime to the ride. We were also treated to a couple of forays into local history with visits to a Norman church and an ancient barrow, which looked pretty much like any other mound of earth with the result that nobody appeared to have any qualms about trampling on the dead! The unrivalled stars of the day though were Brian and Helen on their newly-adapted, turbo-charged tandem! They put the rest of us to shame as they whirred their way past us up all the steepest hills. I suspect that this type of device might just catch on with others among us who would be happy to have a helping hand on some of the more challenging climbs. From start to finish it was an excellent day’s outing, confirming my view that we should try and include more such “away” days in our runs list.